Volkswagen had a lot going on at this year’s North American International Auto Show in Detroit. The German automaker made a big splash when it unveiled its brand new 2019 Volkswagen Jetta. To everyone’s surprise, they also unveiled an aggressive-looking Volkswagen Passat a few moments later. The 2018 Volkswagen Passat GT is for buyers who want interior space, comfort, impressive performance, and a design that is sure to turn heads. The 2018 Volkswagen Passat GT has a 3.6-litre V6 engine that delivers 280 horsepower and 258 pound-feet of torque, which is certainly a great start for any performance vehicle. A dual-clutch six-speed DSG automatic transmission with paddle shifters takes care of transmitting the engine’s power to the wheels. 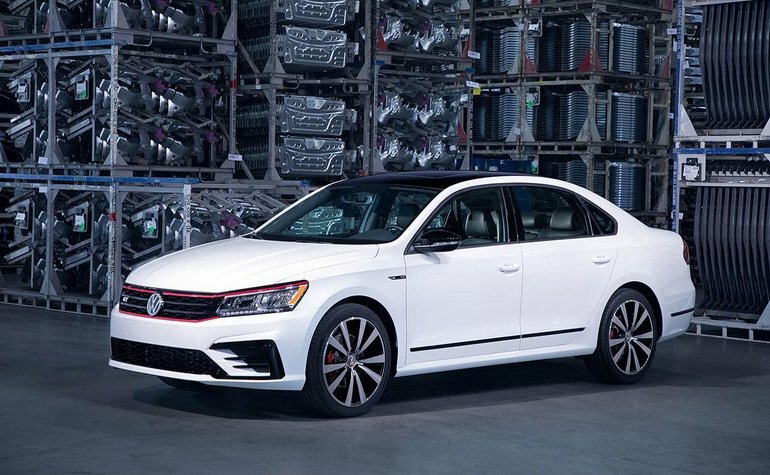 The 2018 Volkswagen Passat GT also features 19-inch wheels and R-Line bumpers. The overall look of the Passat is reminiscent of the GTI and GLI models, although it appears more upscale and high-end. The exhaust system has been tuned to ensure that the Passat GT sounds as good as it looks racing down the road. To learn more about the 2018 Volkswagen Passat GT, contact us today at Guelph Volkswagen!